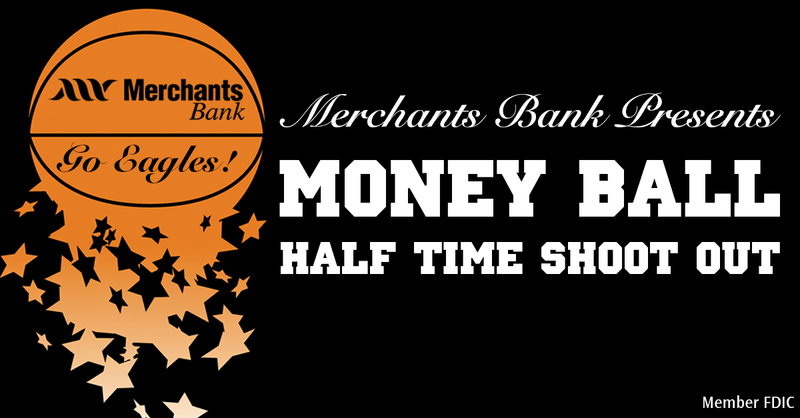 Merchants Bank’s Money Ball is back for its fourth year, with Apple Valley students having the opportunity to participate in the halftime event 11 times during the Apple Valley boys’ varsity basketball season, according to Brian Wester, who coordinates Money Ball for Merchants Bank. Apple Valley School District students can sign up before each game and then two students are chosen at random to participate. Each student gets one minute to make a lay-up, free throw and then a half-court shot. The student wins a $10 Chipotle gift card for a made lay-up, a $25 Buffalo Wild Wings gift card for a made free throw and $100 or more for a made half-court shot. If the half-court shot isn’t made, the money rolls over and is added to the next home game. As we celebrate the 25th anniversary of Merchants Bank’s “10 Days of Giving,” we thank you for your generosity in helping those in need. We’ve been successful in providing more than 2.1 million pounds of food over the first 24 years of the “10 Days of Giving.” The accomplishments are great, but the need remains strong. In 2012, 4,374 different people were helped by the food shelf at Winona Volunteer Services. Winona Volunteer Services, which is celebrating its 40th anniversary, has incredible buying power. Each dollar given to Winona Volunteer Services can buy a great deal of food. For instance, in July of 2013, 35,783 pounds of food was purchased from the Channel One Food Bank for distribution. The average cost of each pound distributed was $1.04. Given this buying power, we ask that you seriously consider giving a monetary donation to this year’s “10 Days of Giving” food drive. It will have more of an impact for more people. So, what can you do to help make sure that no one in Winona County goes hungry? We ask that you join by giving what you can. You can bring your monetary donation or donation of non-perishable food items to any Merchants Bank location. You may also feel free to send a check to Merchants Bank, ATTN: 10 Days of Giving, 102 E. 3rd Street, Winona, MN 55987. Merchants Bank is a Member FDIC. You may also donate directly on the Winona Volunteer Services website at http://www.winonavs.org. At this time of year it is easier to remember people are less fortunate than us, but hunger remains throughout the year, and it is important to remember that contributions from the “10 Days of Giving” help to meet that need for a significant part of the year. Thank you again for your past support. We look forward to your contributions in making the 25th anniversary of the “10 Days of Giving” memorable for our community, and more importantly, for those who need our help. 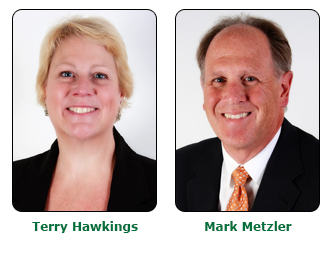 Terry Hawkings and Mark Metzler are co-chairs of the 2013 10 Days of Giving campaign. For 25 years, Merchants Bank has officially been helping those who have needed extra food through the “10 Days of Giving.” And in those 25 years, Merchants has always looked for ways to expand its reach in helping others. 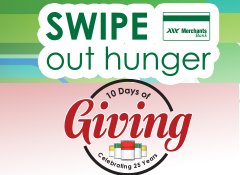 This year, in addition to the “10 Days of Giving,” Merchants is helping nominated local food shelves through “Swipe Out Hunger,” where Merchants is donating a nickel to those nominated food shelves, up to a total of $10,000, every time a Merchants Bank debit card or credit card is used. The “10 Days of Giving” runs from December 1-10. It is celebrating its 25th anniversary in Winona and 24th anniversary in St. Charles, where 2,113,685 pounds of food of food have been collected. Other locations are running events in connection with the “10 Days of Giving,” especially our banks in Hastings and Cottage Grove. Other locations are also running information. You can support the “10 Days of Giving” by making monetary donations or donations of non-perishable food items at participating Merchants Bank locations between December 1-10. Supporters of the nominated food shelf can vote once a day at the Merchants Bank Facebook page. At the end of the giveaway, participating food shelves will receive a percentage of the total amount of money donated to “Swipe Out Hunger” based on the percentage of votes the organization received on Facebook. Voting/Program Rules: After accessing the “Swipe Out Hunger” voting app through Merchants Bank’s Facebook page. You may cast one initial vote for your favorite food shelf, then return for another single vote each day during the contest period, midnight November 29, 2013 through midnight December 15, 2013. Votes will be tallied at the end of the contest and awards will be based on the percentage of votes received. NO customer relationship necessary to vote. On December 18, winners will be announced on Facebook and will also be notified by email. Awards: Checks will be awarded as soon as possible after final votes are tallied. Money distributed will be based on the percentage of votes an organization receives, up to a total of $10,000. Whether or not you decide to participate in the “10 Days of Giving” by giving a monetary donation or a non-perishable food item, or support “Swipe Out Hunger” through using your debit or credit card, we do ask that you consider giving this holiday season to those in need.